Anyone watching the Phillies this year knows what’s going to happen: The Phillies are going to miss the playoffs because they keep losing to the Mets. This should be a successful year for the Phillies. 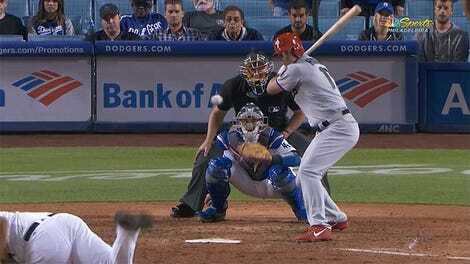 They are 68-56 under new manager Gabe Kapler, already beating last season’s 66-win total. Aaron Nola is having what could be the best season in team history. The team’s pitching has been generally great: They’re fifth in the league in ERA. And while the best hitters this year are generally the guys they just acquired in trades, Rhys Hoskins has 25 homers in his second season. He’s a young guy to be excited about. But no one’s really excited about the Phillies. The main storyline has been the team’s low attendance, especially after Yankees fans were loud during a June series. Seriously, there have been so many stories about attendance this season. But why would fans come? The Phanatic hit a woman in the face with a hot dog. And despite good pitching, the Phillies have been a tough team to watch. They don’t hit for long stretches. Two young prospects, Scott Kingery and J.P. Crawford, have not been good. Odubel Herrera has struggled, and Hoskins has only been great since he returned from a broken jaw he got when he fouled a pitch off his face. 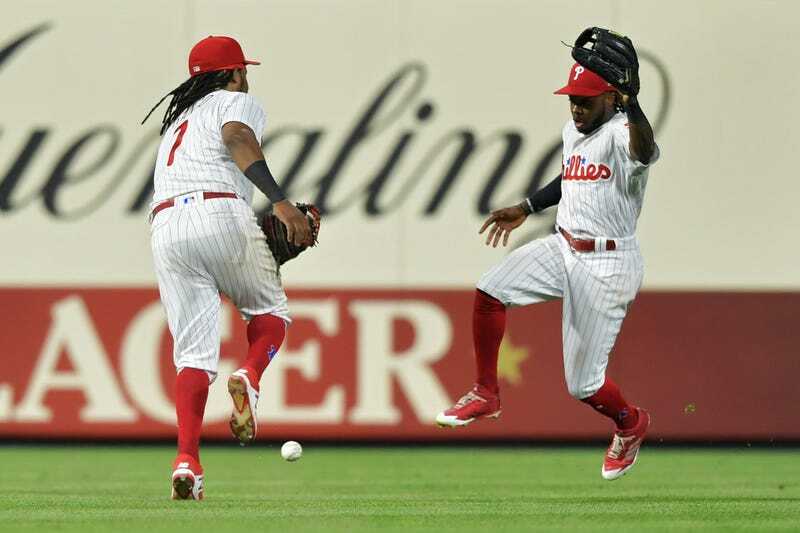 The Phillies are the worst fielding team in baseball this season. They lead the majors with 96 errors. In their 24-4 loss to the Mets last week, the team made four errors leading to 11 unearned runs. And this is after the fielding had improved! The Phillies have six more games against the Mets this season. And you can just tell they’re gonna screw it up against a team that my colleague David Roth called “an active health risk to its players.” With home attendance low despite a 41-22 home record, that late-September home series against the Mets is going to have plenty of New York fans. It’s going to be unbearable. Buckle up.